If you wish you could lose stubborn fat without surgery, CoolSculpting® may be right for you. Our professional team at Healthy Outcomes AZ in Sedona, Arizona offers CoolSculpting-non-invasive-fat-freezing to eliminate unwanted fat for good. To find out if you’re a good candidate for CoolSculpting, call the office or schedule an appointment online today. CoolSculpting is a popular, FDA-cleared body-contouring treatment that eliminates stubborn pockets of fat that resist weight loss. Using controlled-cooling technology, CoolSculpting destroys fat without surgery, anesthesia, or downtime for recovery. Whether you want to tighten your waistline or finally say goodbye to a double chin, CoolSculpting can help you achieve the lean and toned body of your dreams. Sometimes fat lingers in your body despite your best efforts to lose it. Even if you experience weight loss with diet and exercise, your fat cells shrink but never completely disappear. This can lead to fat deposits in areas that are notoriously difficult to sculpt, such as love handles. CoolSculpting takes advantage of the fact that your fat cells freeze at a higher temperature than the surrounding tissues in your body. The treatment targets fat cells with specialized applicators, destroying fat without harming healthy tissue. After your fat cells freeze and die, your body’s immune system flushes them out over the course of several weeks. As this occurs, you see your newly contoured body emerge. CoolSculpting may be right for you if you want to lose a mild to moderate amount of excess fat. It’s not a treatment for obesity. If you want to lose a significant amount of weight, the team at Healthy Outcomes AZ can suggest other weight-loss treatments. What should I expect from a CoolSculpting procedure? During the procedure, your provider at Healthy Outcomes AZ applies a gel pad and specialized applicator to the treatment area while you relax in a comfortable chair. The exact amount of time depends on the treatment area, but most CoolSculpting sessions take 35-60 minutes. The procedure isn’t painful, but you may feel a chill from the cooling technology. This sensation often fades as your skin becomes numb after 5-10 minutes. Afterward, you’re free to return to work or normal activities right away. 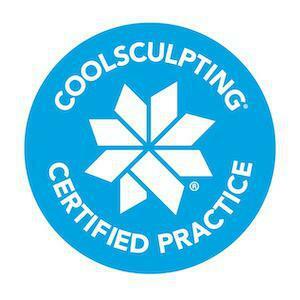 To learn more about CoolSculpting, call Healthy Outcomes AZ or book an appointment online.